A study from the University of Bristol’s Intelligent Systems Laboratory indicates that posts from Twitter users can serve as an accurate indicator of overall public opinion. Researchers Thomas Lansdall-Welfare, Vasileios Lampos and Nello Cristianin monitored keywords in random tweets from July of 2009 to January of 2012, tracking 140-character messages from nearly 10 million users to monitor public moods in the UK. The resulting study, “Effects of the recession on public mood in the UK,” shows correlations between tweets and public opinion. The researchers, who presented their findings at the International Workshop on Social Media Applications in News and Entertainment, noted increases in sadness, anger and fear in summer of 2011 during the London riots. Negative tweets also rose sharply in October of 2010 when the UK government announced sweeping spending cuts. 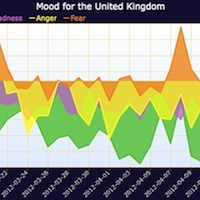 Interestingly, negative emotions dropped during the wedding of Prince William and Kate Middleton. Researchers note that these events do not necessarily correlate with the full extent of Twitter users’ changes in tone and mood. While the goal of the study was to monitor Twitter users’ reaction to the recession, researchers did not intend to interpret the significance of specific events. Instead, they intended to show how Twitter’s micro-blogging format and widespread use makes it an accurate tool for monitoring overall public opinion. The researchers note that regular analysis of tweets could allow public officials to predict riots or to gauge the overall hostility of well-connected populations. There are certainly limitations to the study’s applications. Because the researchers used a “word mining” technique to collect their data, their results are less accurate. Some users might use trigger words ironically or sarcastically, which should not count towards an overall assessment of public opinion. The researchers note that their study’s accuracy would improve if they were able to pick through the results by hand. However, as the study looked at more than 484 million tweets, researchers could not have accurately sorted their results without severely diminishing their sample group. The study also has a more obvious skew: it focuses on Twitter users. Twitter users are more likely to be young and female than other social media websites’ users, so the user base’s opinion is less accurate than a general unbiased poll. As the study used basic keyword analysis to track joy, sadness, anger and fear, it also provides a very simplified picture of the UK population’s reactivity. Given Twitter’s 140-character limitations, some users might use more hyperbole in their online updates than they would in their day-to-day interactions, which would trigger an unrealistically dramatic change in the research data. Nevertheless, the research shows the feasibility of tracking public opinion through social media websites. 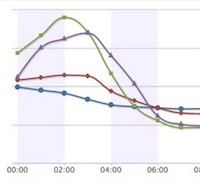 Researchers could see Twitter users react in predictable ways to holidays like Christmas and Valentine’s Day. They could also instantaneously monitor public opinion during major news events to see visible changes in public opinion. 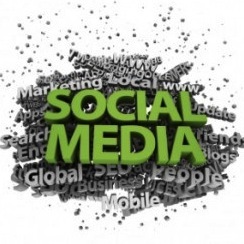 The team’s future work will focus on a comparison of traditional media and social media. This will likely mean a comparison of general public polls and the research data to test the accuracy of the data. Until the researchers can test the accuracy of the data, any detailed analysis of the team’s data is premature. The research might show an accurate assessment of Twitter users’ opinions, but those users are certainly biased. This is not to say that the study isn’t exciting–future research on how social media users show their moods could have numerous advantages for social media marketers, political analysts and other professionals. Still, it is important to note that this type of research makes quick headlines, but analysts should give attention to possible biases before reading too far into the data.